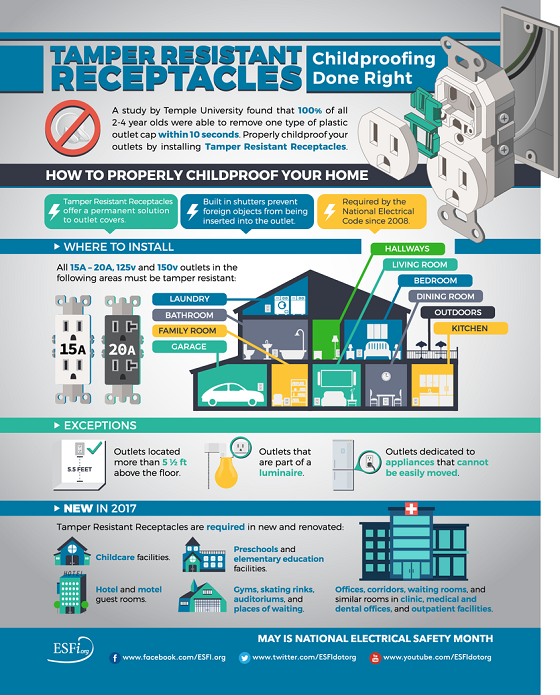 The Electrical Safety Foundation International (ESFI) says that every year, about 2,400 children suffer severe shock and burns when they stick keys, pens, paperclips and other small items into electrical outlets, Many parents put covers or caps on the outlets, but studies show this is not a particularly effective deterrent to little fingers – a study by Temple University found that 100% of all 2-4 year olds were able to remove one type of plastic outlet cap within 10 seconds. 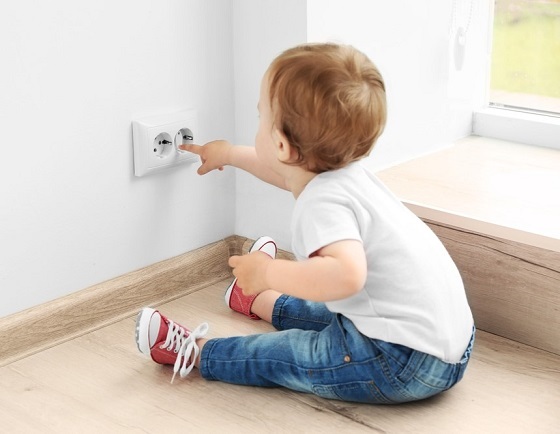 There’s a better solution called tamper resistant receptacles, or TRRs, that offer a simple, affordable, reliable and permanent solution to help protect kids. 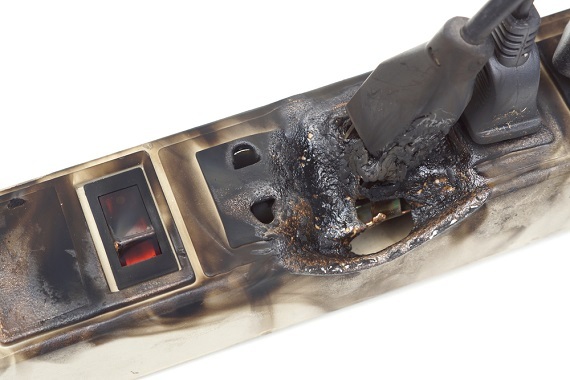 They look just like ordinary outlets but are equipped with spring-loaded receptacle cover plates to close off the opening slots. 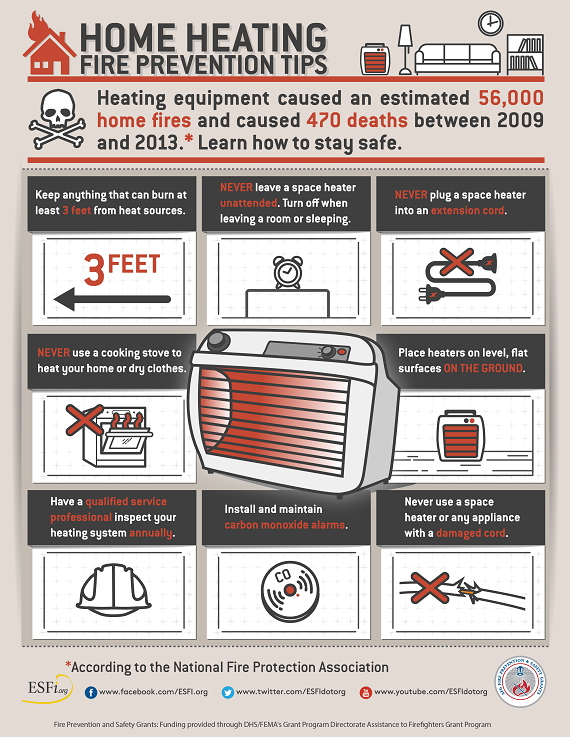 Since 2008, the National Electrical Code has required them to be installed in all new home construction – but many older homes do not have them. 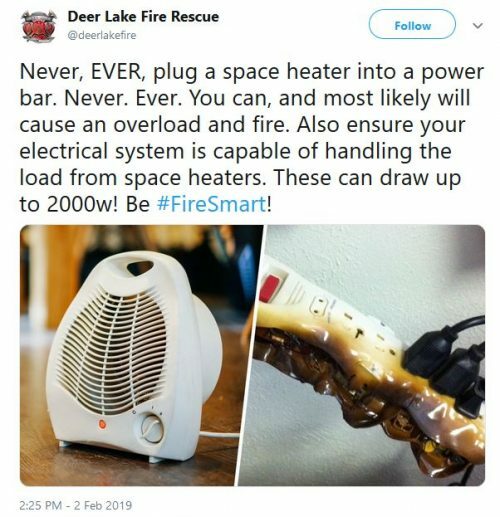 If you have children, you may want to consider converting to them – but TRRs should only be installed license electricians.